Douglas L. Widmayer, age 86, of Kentwood, passed away on Wednesday, June 20, 2018. Doug served in the U.S. Army during the Korean War. After working 15 years at Dexter Lock, Doug went on to work at Steelcase and retired after 28 years of service. He enjoyed golfing, hunting, and fishing. 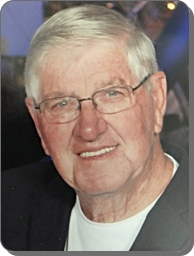 He will be lovingly remembered by his wife of 55 years, Bonnie; his children, Dana K. Listing, Wayne Listing; sister-in-law, Connie (Jim) Vanlier; nieces and nephews. Honoring Doug's wishes, cremation has taken place. Visitation will be held Tuesday, June 26, from 6 - 8 pm at Stroo Funeral Home. A memorial service will be held 11 am Wednesday, June 27, at St. Paul's United Methodist Church, 3334 Breton Ave, SE, with Pastor Erin Fitzgerald officiating. Contributions in honor of Doug may be made to Spectrum Heath Hospice. Sorry to hear of Doug's passing. He will be missed at Southern Palms and especially the Sunday night jams. Prayers for the family.